Does Your HVAC System Open the Door For Pests Into Your Home? Your HVAC system operates by exchanging air from the inside and the outside of your home. This very process can provide pests with the perfect opening to get into your home. However, when you perform routine maintenance of your HVAC system and you keep your system well maintained from season to season, you provide a variety of safeguards that keep all those unwanted critters and pests from finding their way into your home. Maintaining your HVAC system and controlling pests that attempt to gain entrance into your house may seem to be two very different concerns for homeowners. However, the two do overlap with one another and can be combatted together. When pests make their way through your HVAC system they tend to leave behind saliva, skin cells and droppings, all of which can cause harm to family members, especially those who already suffer from asthma and other respiratory illnesses. These elements minimize the air quality in your home as well. With this in mind, you want to take whatever steps are necessary to keep the pests away. The experts here at South Nashville Heating and Cooling want to assist our valued clients with all their HVAC needs and that includes helping to control unwanted critters and pests in your cooling system. Start by caulking any openings around your windows and doors as well as openings in your cabinets and around pipes. The best way of accomplishing this task is through the use of an expandable foam spray. Also, get in the habit of keeping the doors in your home closed. If you are heading outdoors to sit in the sunlight or even to just take the trash out make certain to close the door behind you at all times. Further, like everything else that breathes, pests need water to survive. Understanding this simple fact means that you should take every precaution to avoid puddles of any type from accumulating around your home, especially near to your outdoor air conditioning condenser. It is important to control moisture since moisture tends to attract all sorts of pests and critters. Keeping your home dry and using a home humidifier will definitely defer any pests from trying to make their way into your home. If you suspect that pests are using your HVAC system to gain access into your home, you may want to have protective screens inserted into the vents. This is where our professionals come in. The highly trained and licensed technicians here at South Nashville Heating and Cooling re on hand to help control pests by sealing off the point of entry. Additionally, they will inspect your duct work to ensure that it has not failed or become degraded. If there are any holes or leaks in the duct work pests can use these as a prime pathway to get into your home. With that said our highly skilled technicians will reseal your ducts to keep the pests out. Finally, a great way to keep pests from invading your home through your HVAC system is to schedule routine HVAC maintenance. Be sure to schedule regular maintenance with our certified and licensed technicians since a tune-up and professional inspection can identify any signs of infestation that may have occurred in your system. 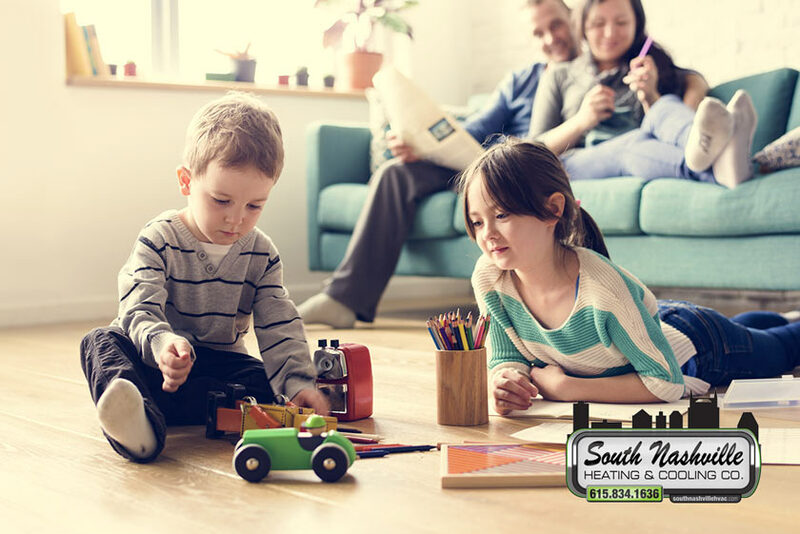 The folks here at South Nashville Heating and Cooling take tremendous pride in our top-rated products and services. Having earned ourselves a spot at the top of the charts our dedicated technicians remain steadfast in maintaining our industry presence. If you find you are in need of assistance with pests in your air conditioning system, require HVAC repairs, or just want to schedule your system routine maintenance, then we are definitely the team for you. Simply give a call out to our team today and let us take care of all your HVAC needs. We look forward to serving you season after season, year after year!